Wonderful Ways to Waste Bikes! Got a pile of used bikes building up in the backyard that you don’t know what to do with? 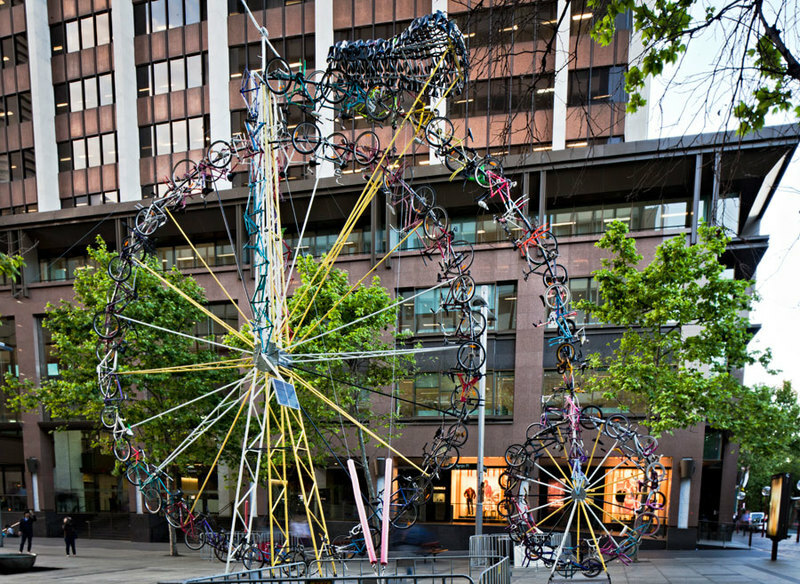 Maybe some of these grand works of bicycle art will inspire the hidden artist lurking alongside your inner bike hoarder. The Bike Bike, (a bike made out of bikes, get it?) was installed in Sydney, Australia in October 2010 The 12 meter high structure was designed by artist Alasdair Nicol in the shape of a giant Penny-farthing. This obelisk, cleverly referred too as “the cyclisk” stands over 60 feet high in the city of Santa Rosa, California. 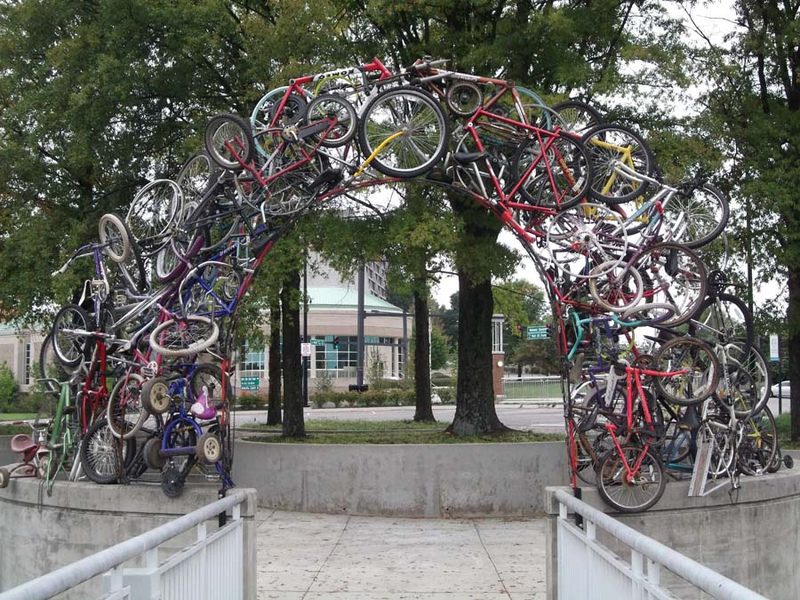 This stunning pillar of bikes is the work of artists Mark Grieve and Ilana Spector, with the project’s $37,000 tab picked up by Nissan. 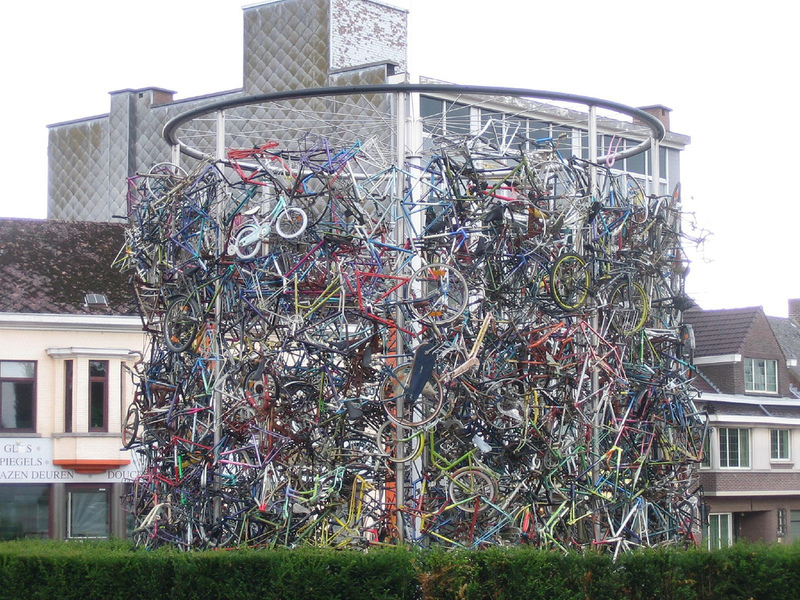 One can find this splendid arrangement of bicycle waste in Brakel, Belgium along the route of the famous “Tour of Flanders” annual spring bike race. China produces about 80% of the worlds artificial Christmas Trees. They probably account for about the same percentage of the worlds bicycle production too. 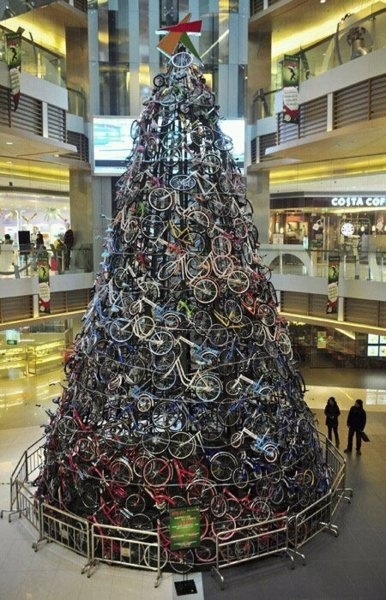 For the 2011 holiday season they combined this knowledge and skill to put up a 12 meter high Christmas tree made out of 230 brand new bikes in a Shenyang shopping mall. Our final image is of a couple sculptors actually working on the worlds next great wonder of bicycle art that is set to… Oh, sorry, wait…My bad. 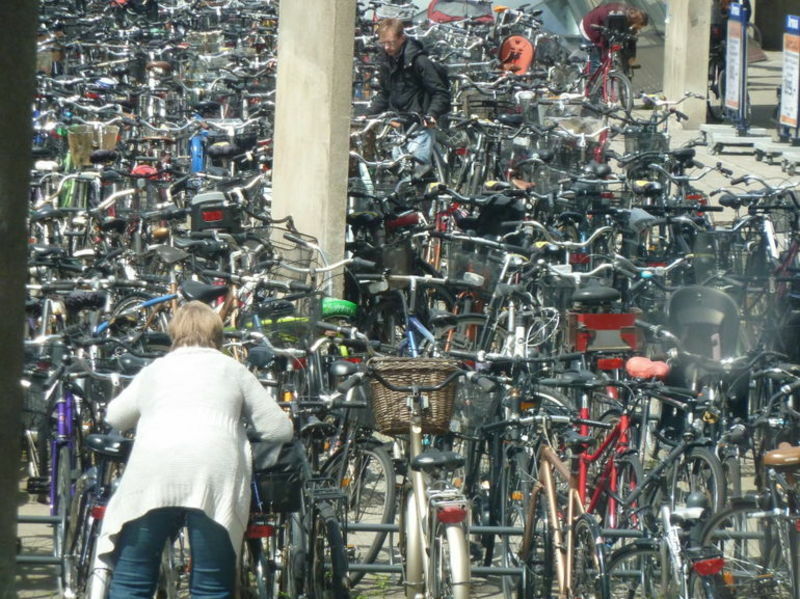 This is just a couple of people trying to find there damn bikes at a train station in Copenhagen, Denmark. If you’ve never been to Copenhagen before, you really should. 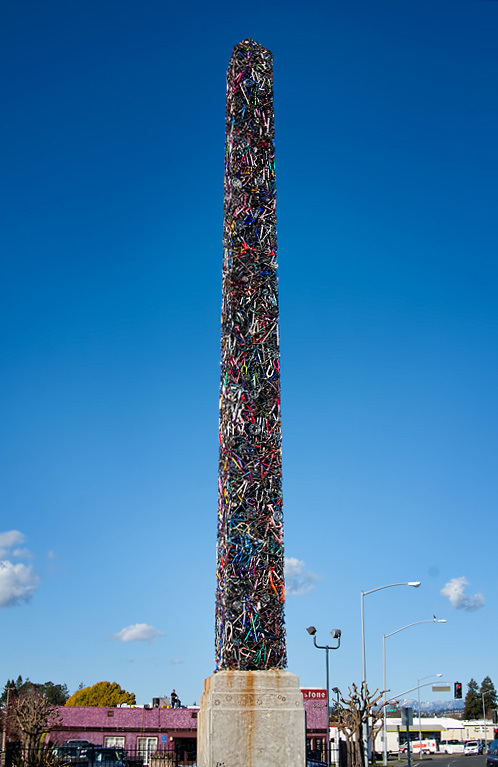 It’s the worlds largest pile of used bikes. Funny enough, they haven’t wasted very many of them on public art works. I guess they’re too busy using them to get around. Ha ha ha, Interesting. The way of bike wasting! ha ha ha. so cool.Maybe there are better recycling channels.